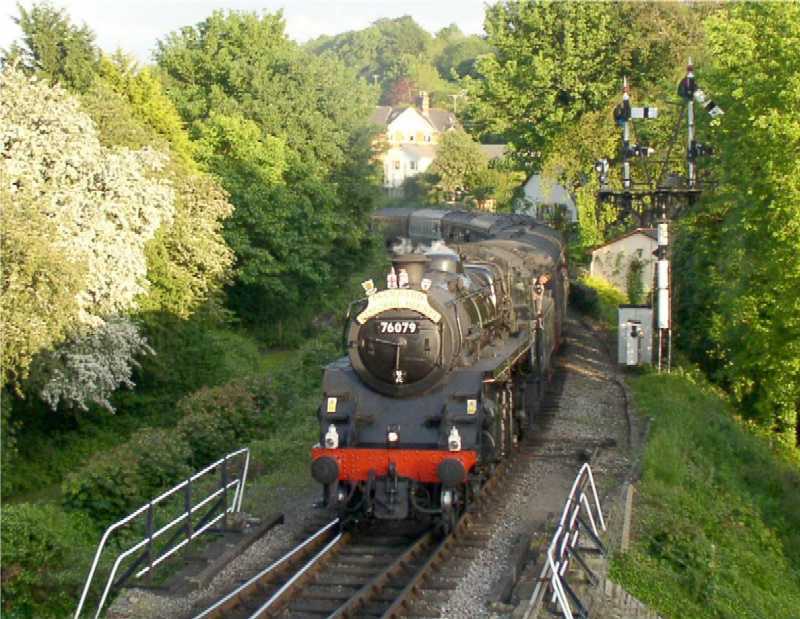 Past Time Railtours ran a series of specials using Ian Riley's Standard 4 2-6-0 76079 which brought the engine to Buckfastleigh on the evening of May 31st. 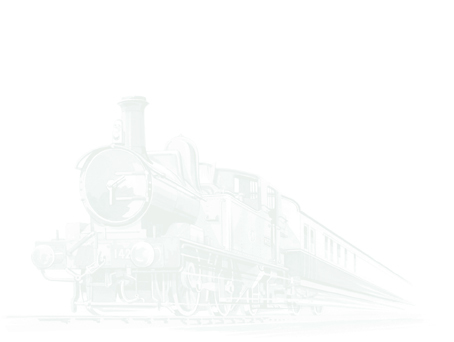 The special originated in Plymouth and ran to Totnes and straight up to Buckfastleigh arriving at around 8.10pm. The engine ran round, took water, and set off again for Totnes at 9.00pm where it was able to run non-stop via the mainline connection in to Networks Rail's station. The loco again ran round before proceeding to Newton Abbot where it came off the special to run light engine to Exeter for the next evenings special. A Class 37 diesel returned the tour participants to Plymouth. This was the first occasion on which a Standard 4 had been to Buckfastleigh, although the engine previously visited Totnes on a special a few years ago when it was stabled in the 'Up Refuge' siding (part of Network Rail) immediately adjacent to the SDR connection. The train was loaded to seven coaches which was an easy load on the SDR although it had certainly tested the engine earlier in the evening on its ascent of the 1 in 43 Hemerdon Bank on the outskirts of Plymouth.